As a homeowner or business owner, you understand how heavily you rely on your heater and air conditioner. You have an obligation to keep these systems operating in the most efficient and effective fashion possible. At Steele Mechanical, LLC Air Conditioning and Heating, our East Windsor HVAC contractors are here to help you with this immense responsibility. We can care for any conventional heating or air conditioning system at all stages of its service life. Our heating contractors and AC service technicians provide our customers with unique solutions to their home comfort needs. The one constant in all of our work is our goal to achieve complete and total customer satisfaction. 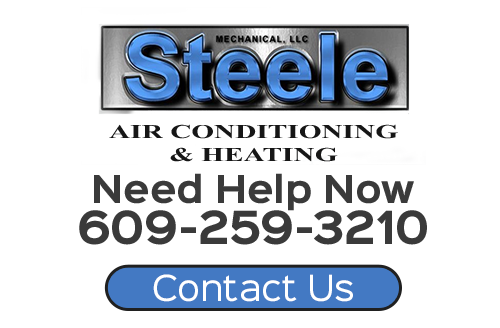 For all your heating and air conditioning needs in East Windsor, call Steele Mechanical, LLC Air Conditioning and Heating today. Our professionally licensed contractors will work their hardest to provide you with the highest quality services possible. Our staff can answer any questions that you may have and can set up your appointment today. One of the most common reasons that people suffer from air conditioning problems is that they fail to conduct routine and adequate maintenance on the system. Your air conditioner is a complex machine with many moving parts. If you fail to inspect and repair it on a regular basis, it will fail to perform in the same way that a neglected motor vehicle will. Our East Windsor air conditioning contractors are here to prevent this from occurring. Through our AC tune-up services, we can prepare your home comfort system to provide for all your needs throughout the summer. By identifying and repairing all problems present, we can make your air conditioner more efficient, effective, and reliable. Whenever you are confronted with a heating problem, you have to decide whether it is more cost effective to conduct furnace repairs or to replace the system entirely. If your furnace is relatively new, then you will most likely benefit most from conducting repairs. However, if your furnace is over a decade old, it may be most costly in the long run to continue trying to fix reoccurring issues with ongoing heating repairs in East Windsor, NJ. Our technicians can troubleshoot your furnace to determine the precise problem. If we determine that you would benefit more from replacing the system entirely, our experts can guide you through the entire process. Together, we can install a new furnace that will provide for all your needs for the longest time period possible. "Scott Steele did an excellent job. The price was the best of the estimates we received. He was very responsive to our questions about various products. His work is very neat and clean. He is polite and professional. He explained the operation of the equipment well. He showed up when he said he would for the estimate and the work. We would highly recommend him and will likely use him in the future when the central air needs replacing." "Scott steel is a gentleman, he came out my store to evaluate a heating issue he immediately recommended a solution and gave us a fair price to complete the work. He explained what he was going to be doing and how it would solve our problem. We will definitely have the work done by his company and will post another review upon completion Thanks Scott." If you are looking for a professional East Windsor heating contractor or air conditioning company, then please call 609-259-3210 or complete our online request form.